The Lapdogs received another dental treat for review this month from our friends over at Chewy - Natural Balance LIT Dental Chews. Natural Balance LIT Dental Chews have been scientifically formulated to encourage a dog’s natural chewing instinct, which helps to support healthy teeth and gums. As part of the Natural Balance line of LIT (limited ingredient treats), these chews are designed with limited protein and carbohydrate sources, making them a good choice for food sensitive pets. Currently available in 2 sizes (Small-Medium for adult dogs 5-25 pounds and Medium-Large for adult dogs 25-50 pounds) and 2 flavors (Sweet Potato & Chicken Meal and Duck Meal), LIT Dental Chews consist of a delicious mix of flavors that most dogs are sure to love! If your dog does not require the limited ingredients, Natural Balance also makes regular dental chews in several other flavors. We received a bag of the Medium-Large size Duck Meal treats to try and the Lapdogs certainly loved them, as evidenced by the line they formed in front of me while I was tearing open the package! As a dog Mom, I appreciate the limited ingredients and that they are formulated to support easy digestion, plus, of course, they are Made in the USA! 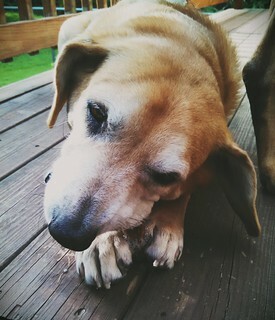 However, I noticed that all 4 of the Lapdogs' gums were bleeding slightly after they finished their chew. It was nothing major, and I do suspect it was a result of me no longer feeding them dental chews on a regular basis (mostly due to Zeus' mega-esophagus). While we won't be adding these to our regular treat rotation in the short term, I like knowing they are an option for my pack. 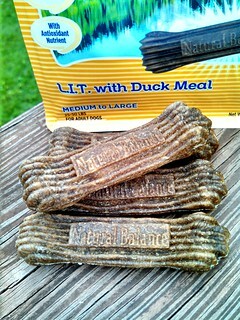 And, for those of you with allergy-prone dogs who can not have anything chicken related, I hope to see Natural Balance expand on their line of LIT treats soon. I'd love to see some sweet potato without the chicken meal, or perhaps a protein like rabbit. 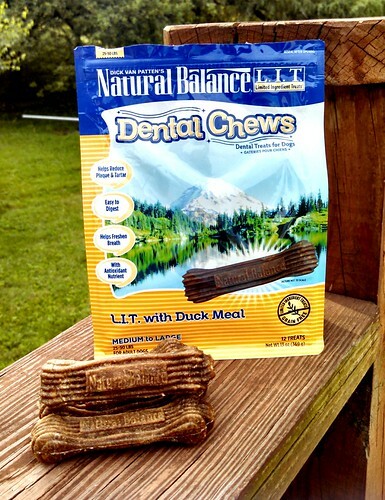 If you're looking for a dental chew, try a bag of Natural Balance LIT Dental Chews from Chewy! Remember, 1-2 day shipping is always free on orders of $49 or more! Time to do some end-of-summer restocking of the treat baskets! Disclosure: Chewy.com sent a bag of Natural Balance LIT Dental Chews to Lapdog Creations, free of charge for review purposes. I was not compensated for this review and all opinions expressed are my own. Chewy has been sending out such great stuff that I'm thinking some of their treats will have to be delivered by Santa for Natasha. She'll love them, I'm sure. We had the same chews in small and a Sissy variety. The girls are mad for them, but we have younger gums and no bleeding. Great review! Those sure do look tasty! 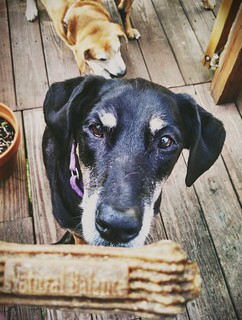 Thanks for joining our 1 year anniversary pet parade blog hop! 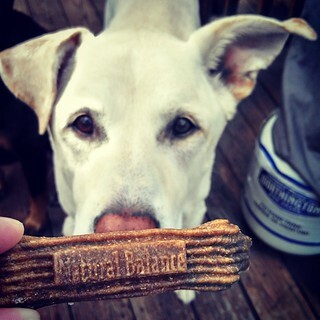 I'm a fan of Natural Balance and didn't know they had dental chews. Great review & thanks for sharing on the Pet Parade & joining our pawty today!